Have you ever wanted to dress like a gorgeous Georgian? Well, now help is at hand in the form of the The American Duchess Guide to 18th Century Dressmaking by Lauren Stowell and Abby Cox. It is released here in the UK on 13th December 2017, just in time for Christmas. The American Duchess Guide to 18th Century Dressmaking. Lauren and Abby are owners of the historical footwear online store, ‘American Duchess’ who ship worldwide and sell the most amazing shoes. They have now used their research and experience to complete your outfit and enable you to make the most amazing dresses (and accessories) to go with those fantastic shoes. Divided into four chapters, this book takes you step-by-step through making four gowns representing four different eras of the eighteenth-century plus all the accessories you could need to go with them. If, like us, your dressmaking skills are a little rusty or even rudimentary, don’t be put off. The book is written in a friendly style with basic details such as the different types of stitches covered as well as more detailed instructions, and all with a multitude of helpful diagrams and images so it doesn’t seem as daunting as you’d think. And, even for a non-sewer, the book is still an entertaining and informative read if you are interested in the period. It’s interspersed with sumptuous pictures and lots of amusing asides (for instance, discover why one of Madame Pompadour’s maids inspired the name for the new short sacque gown being worn by her mistress, ‘pet en l’air’). The book begins with a simple English gown from the 1740s complete with neckerchief, apron, mitts and hat. Then we go onto a much more extravagant ruffled and flounced dress, a sacque gown dating from the 1760s-1770s inspired by Francis Cote’s A Portrait of a Lady, plus underpinnings and accessories. An Italian gown in printed cotton which follows the style of the 1770s-1790s and accommodates a ‘false rump’ is the third project. Again, you are given instructions for everything from the false rump to a silk covered ‘brain hat’, described as ‘fluffy, puffy and never stuffy’. At the end of each section, you are shown how to wear your gown with style. The last gown to be featured is the 1790s round gown, a much different silhouette from the preceding dresses. Plate 034, N. Heideloff, February 1, 1795, Thomas J. Weston Library, The Metropolitan Museum of Art. One of the images given as inspiration for the 1790s round gown in the American Duchess Guide to 18th Century Dressmaking. To build confidence, we’d recommend starting with some of the simpler projects: now the weather has turned cold we’re looking with extreme interest at the 1790s giant (faux) fur muff… that’s a fashion that needs to be brought back, right? This is a book that will be a permanent fixture on our bookshelf. It is a brilliant reference book on the fashions of the eighteenth-century and the history of dressmaking of the period and, as such, invaluable for anyone who writes about the era and wants to understand more about the clothes women wore. And, if you are an eighteenth-century re-enactor or lucky enough to be attending a Georgian dinner, ball or festival where it is requisite to look the part, then this wonderful guide will ensure that you stand out from the crowd in the latest fashions. The Family of the Duke of Penthièvre in 1768 by Jean-Baptiste Charpentier the Elder, 1768, Château de Versailles. Now, where are our needles? That fur muff is not going to make itself and it’s beginning to snow outside! We received a copy of this book in return for an unbiased review on our blog. We are thrilled to be able to welcome Danielle Bond, Communications officer, for City of York Council to our blog and Dr Annie Gray, food historian and lecturer who has been recreating historic recipes for Georgian gem York Mansion House. We will now hand you over to Danielle to tell you more. Dr Annie Gray leans over the brick chafing stove posing for photos with two woodcocks tightly gripped in her hands as little droplets of blood spatter on the ground. One thing that becomes quickly apparent when meeting Annie Gray is her passion for what she does and the constant question from people who surround her ‘are you squeamish?’ for reasons you can well understand. She wasn’t able to get a chance to cook in the York Mansion House kitchen just yet as its completion has been slightly delayed, but the bones of this Georgian kitchen are there with a roasting spit, a chafing stove (used for warming and pictured above) and a wood burning oven. The Georgian kitchen is one of the most exciting restoration projects and will help to illustrate three centuries of cooking and eating in the house and interpret and explore the lives of those who have worked there. This is a fully restored 18th century kitchen using original artefacts and architectural features: any modern recreations are made in the traditional manner, including bricks handmade from local clay. As we watch Annie finish preparing her historic recipes she pauses to peel open her beautifully covered, recently released book ‘The Greedy Queen’. The fantastic images of Queen Victoria’s dresses include her petite wedding dress and then a notably larger dress, clearly showing the aptness of the book’s title. Annie smiles delightedly, eyes sparkling and reads a passage about her favourite dish – the hundred guinea dish, a ghoulish-sounding monstrosity including, most notably, turtle heads arranged to look as though they are vomiting skewers of sweetbreads. “Oh I think it sounds wonderful,” she says exuberantly to my grimacing face. We step into a room prepared for filming and silence falls. I look across to see beef alamode sat ready to be cooked with bacon artfully needled throughout the rump as the smell of fresh garlic pierces the air. A whole nutmeg is smashed in an enviable brass pestle and mortar and a lovely copper bowl used for egg mixing is pulled in to the shot from the side. Her love of food and history is not lost on anyone who meets her and it makes the whole experience just plain fun to watch. 1. Danielle Bond: What drew you to the history of food? Dr Annie Gray: I have always loved history, and I’ve been a keen cook (and eater) since I lived in France when I was 16. In 2003 I did an MA in historical archaeology at the University of York, as part of which we studied food and the rituals around it, and I realised that I could combine both of my passions. I knew I wanted to work with museums and heritage sites and within the field of public history, so I was looking for a field which had the potential for wide public engagement. Everyone eats, and everyone eventually admits to an opinion on food, so it’s a great way to bring people in and then use it to explore wider historical themes. 2. Danielle Bond: What do you find intriguing about the York Mansion House kitchen? Dr Annie Gray: It’s been fascinating working with Mansion House from the very beginning of the Opening Doors project. Watching the layers of time being progressively peeled back from a kitchen which has been in use from the 18th century to the present day is a really special and quite unique opportunity. 3. Danielle Bond: Why have you chosen the recipes of Beef alamode and woodcocks specifically? Dr Annie Gray: We’ve used a menu from 1789, so we know these dishes were cooked at the Mansion House, and woodcock bones were found in the course of archaeological work in the courtyard. 4. Danielle Bond: What is your favourite piece in the York Mansion House kitchen and why? Dr Annie Gray: The spit, which is a 19th century addition. Spit roasting was so prestigious in the past, and yet now it’s almost completely lost. I know from working in country houses with spits that as an object it’ll be really interesting for visitors, but more than that, it was the sole object which remained in the kitchen to give a hint of its past when I first looked round them over five years ago. 5. How do you think a kitchen and food can give us a unique view on history? Dr Annie Gray: Food is a universal: we all eat, and we do it a lot. It’s the one thing we all have in common, and yet we all do it so differently. Through food we can gain insights into class, and beliefs, and lives as lived, not merely as reported. There’s a growing realisation that history isn’t all about men with guns charging across the world, but is made up of little moments, and countless people whose names we may never even know. Food helps us get beyond the stuff so many of us were taught at school and into the grimy, violent and unbelievably exciting underbelly of the past. Here’s to more cooking and history from Annie Gray, I’m looking forward to seeing her first cooking experience in the York Mansion House’s kitchen. I am so excited for this Georgian gem in the heart of York to re-open after its extensive and careful restoration with Richard Pollitt, Mansion House curator at the helm. 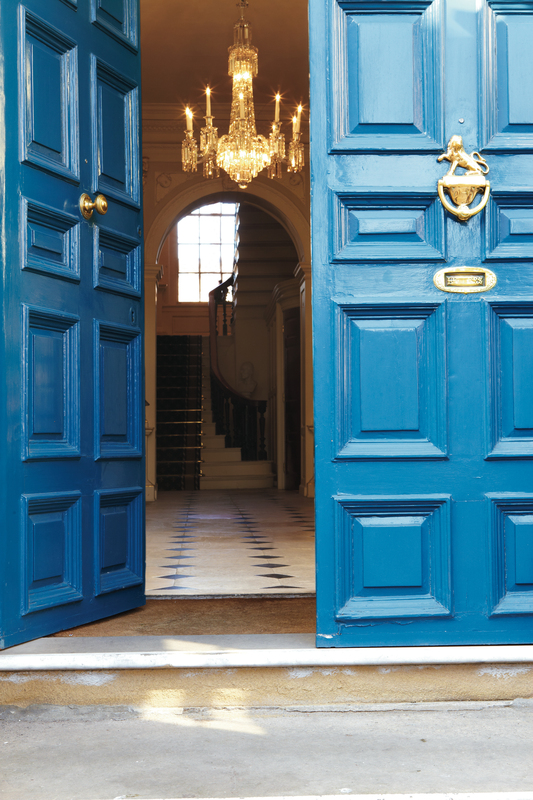 The Opening Doors Restoration project for York Mansion House was made possible by a grant from the Heritage Lottery Fund, funding from City of York Council and a variety of grants and generous donations totalling £2.3 million. The project improves the visitor experience by beautifully restoring this unique piece of York’s architectural and civic history, allowing more people than ever to enjoy it. York Mansion House will be open to visitors in the early Autumn, please like us on Facebook and Twitter to keep up to date on events and happenings. 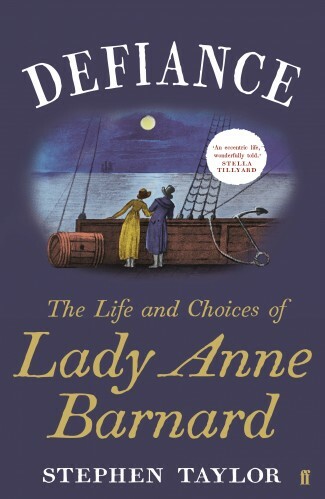 We were absolutely thrilled to be contacted by Faber and Faber to ask if we would like to review Stephen Taylor’s latest book which is due for release today, Defiance: The Life and Choices of Lady Anne Barnard. We jumped at the chance as Lady Anne Barnard and her sister, Margaret will make an albeit brief appearance in our third book, so the chance to find out more about what their lives would have been like was an opportunity too good to miss, but we would like to point out that this is an independent review. Many of our readers will probably have heard of Lady Anne Barnard or at least be familiar with her name as a writer and Georgian socialite who was acquainted with the ‘great and the good’ of the time including the likes of William Windham, Edmund Burke, plus our favourite courtesan Grace Dalrymple Elliot’s lovers – the Marquess of Cholmondeley and the Prince of Wales. Some of you may also be aware of her as being the author of the ballad Auld Robin Gray, but few will be aware of much more than the brief outline of her life. Stephen has written this factual account of her life from the immense wealth of archive material held by her descendants. The book clearly demonstrates his attention to detail and provides the reader with a carefully crafted, but beautifully told account of Lady Anne’s life with a surprise or two along the way that you most certainly won’t have come across before! A family tree might have been an added bonus, but the lack of one most certainly didn’t detract in any way. We don’t want to spoil the story but we would highly recommend reading it, we’re sure it’s one that we’ll back dipping into again, so for now we’ll stick to providing a few basic facts about Anne and leave you to find out so much more in Stephen’s book. Anne was born 1750, the daughter of James, Earl of Balcarres and Anne Lindsay née Dalrymple, so around the same sort of time as our very own Grace Dalrymple Elliott and there’s a distinct possibility the families knew of each other. Like Grace, Anne spent time in Paris during the French Revolution and when returning to England she married Andrew Barnard, a military man, some 12 years her junior. Andrew took a posting to Cape Town, where they spent five years together from 1797, with Anne returning to England alone at the beginning of 1802. 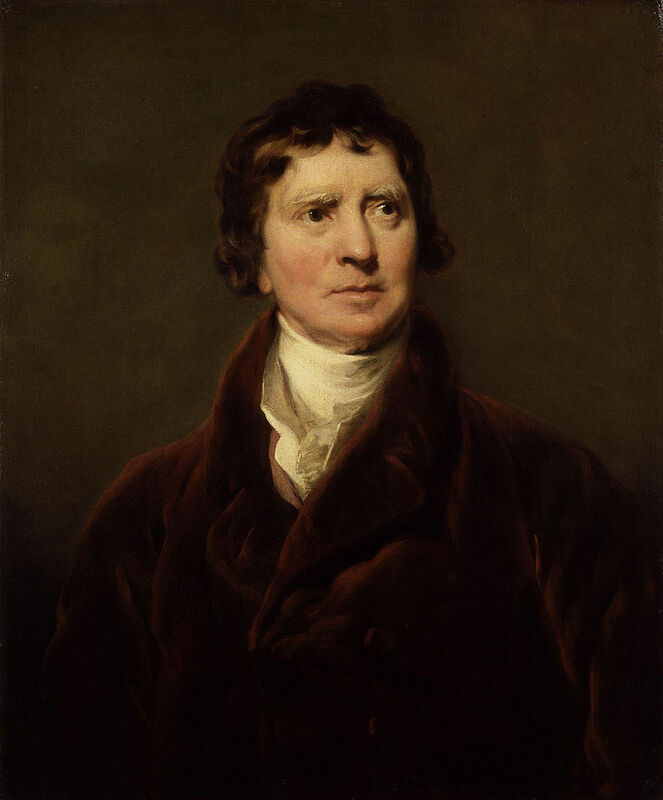 Throughout her time there she wrote lengthy tomes to, amongst others, Henry Dundas (1st Viscount Melville). There is one lovely self-description in the book, in a letter she wrote to Elizabeth Harcourt, in which she described herself as ‘a sort of Ladyship Jack of all Trades, a housekeeper, botanist, collector, paintress, upholsterer, Lady Bountiful, cook, dairy maid – everything but a politician and that I do not touch’. Andrew returned to England briefly, but then went back to South Africa where his health failed and he was to die in 1807. It was upon Andrew’s death that she found out a secret that he had been keeping (we won’t say more about that!). Anne spent the remainder of her life in London until her death on May 6th 1825. All in all, this is a fabulous book that we are pleased to recommend to our readers, full of detail to anyone interested in the Georgian era as well as those who are interested in the life of Lady Anne Barnard. For today’s blog we are going to review a new book by Alice Marie Crossland, Wellington’s Dearest Georgy, which explores the life of Lady Georgiana Lennox and sheds new light on the Duke of Wellington’s character. Alice previously wrote a guest post for us about her new book which you can also read by clicking here. Our first impression of Wellington’s Dearest Georgy is that it is, quite simply, a beautiful book. From the cover to the clear way the text is laid out inside, and the illuminated manuscripts similar to ones done by Georgy on the inside book flaps, it is clear that a lot of care to attention and detail has gone into this biography and expectations are therefore set high. We’re delighted to say that the book more than met them. Lady Georgiana Lennox, known to her family as Georgy and to Wellington as his ‘dearest Georgy’, was a younger daughter of the 4th Duke of Richmond. Her mother, the Duchess of Richmond, is perhaps best known to history as the hostess of the famous ball held in Brussels on the 15th June 1815, where Wellington received notice that the French forces were advancing. The officers at the ball hurried away, some of them not even having time to change out of their dancing clothes before battle, and many never survived to enjoy another ball. The Duchess of Richmond’s Ball by Robert Hillingford (via Wikimedia). The 19 year old Georgy was present at this ball and witnessed history in the making. Wellington was a great friend to her family and the young Lennox children had grown up knowing the duke; Georgy in particular was to remain a great favourite of his and she somewhat hero-worshipped the great man. Through his affection for and correspondence with Georgy we are able to view Wellington in a much different light from that in which he is usually seen, a kindly and, at times, even a playful man, ever the gentleman but always ready to offer words of advice or comfort to his young friend. There is never any suggestion of impropriety in the relationship between Georgy and the duke, although Georgy, as a young woman, was clearly a little in love with him. Arthur Wellesley, 1st Duke of Wellington by Sir Thomas Lawrence, displayed in the Waterloo Chamber at Windsor Castle. Georgy’s life is documented in full, and what a long and adventurous life she led for she lived to a grand old age, marrying for love and becoming Baroness de Ros. But it was her ‘unique and special friendship’ with the duke, which endured for the whole of his life, which defined her life. Through Georgy we are able to see the duke not just as a military hero and strategist, but simply as a man. Using a wealth of unpublished material, this beautifully illustrated book celebrates Georgiana’s and Wellington’s friendship which evolved over time. Together they shared scandals, family tragedies and celebrations as Britain left the excesses of the Regency period behind and embraced the Victorian age. Providing a fascinating insight into the personal life of this most public of figures, Georgy remained, until the end, Wellington’s ‘Dearest Georgy’. We whole-heartedly recommend Wellington’s Dearest Georgy. It is a fascinating biography of an aristocratic lady but it is more than that. It is the story of one of the most interesting periods in our history told from a different perspective than that usually given and, therefore, one which sheds new light on the events and characters of the age. 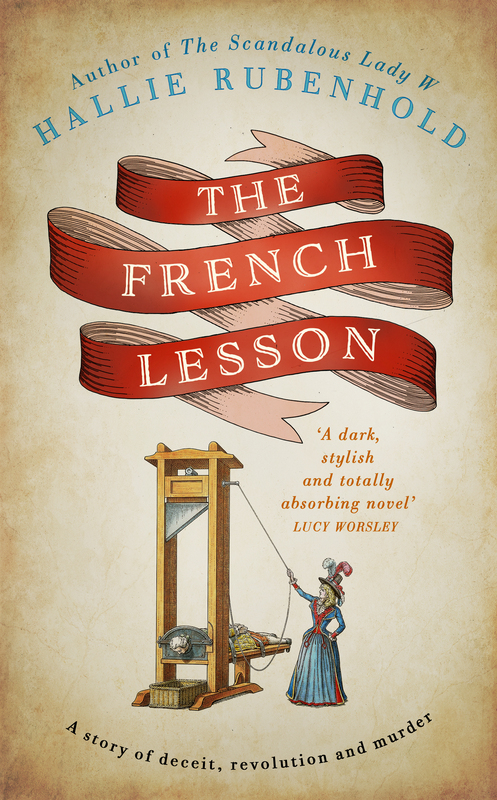 We’ve been lucky enough to receive a preview copy of the respected author and historian Hallie Rubenhold’s new novel, The French Lesson which is launched in the UK on 21st April 2016. It’s a book we’ve been waiting with baited breath to read as it has our leading lady Grace Dalrymple Elliott as one of the main characters. As Hallie’s work is fictional she had free rein with Grace and we were keen to see how Hallie’s Grace measured up to the Grace we had come to know and love during our many years of research into her life and family. We had high hopes as Hallie’s expertise in the eighteenth-century is outstanding (she also wrote the biography of Grace’s boon companion Lady Worsley which was turned into a BBC drama last year, The Scandalous Lady W, as well as works on the notorious Harris’s List) and we’re glad to say we were not let down. By the end of the first chapter we knew Hallie had nailed Grace. This is the second book in a trilogy. In the first, Mistress of My Fate, young Henrietta (Hetty) Lightfoot fled from her home and was faced with the ugly realities of the Georgian world but found love in the arms of the handsome Lord Allenham. In The French Lesson, our heroine’s adventures begin in Brussels, with Allenham missing, forcing Henrietta to venture to Paris in search of him where Grace takes Miss Lightfoot under her wing, and further educates her in the ways a woman can survive on her own wits and using her own body. This advice is not welcome to Henrietta but Grace, as she would have been in real life, is worldly wise; she knows that to live in any kind of style as an unmarried woman, Henrietta must rely on the patronage of wealthy men. This was Grace’s course in life, and Henrietta would do well to take Grace’s counsel, for Grace had chosen wisely with her protectors. Grace’s old lover, Louis Philippe Joseph, Duc d’Orléans is portrayed with a wickedly vivid perspective, and his lover (and Grace’s rival) Madame de Buffon is brought wonderfully to life, as is Paris and its environs. We don’t want to give away too much of the plot and spoil the story, which will keep you guessing until the end; suffice to say that the tale romps, twists and turns marvellously while Henrietta does her best to survive and work out just who she can and can’t trust as the shadow of the guillotine grows ever darker. We loved The French Lesson. Hallie fully transported us into the streets of revolutionary Paris and the intrigues of Henrietta’s life. Her portrayal of Grace Dalrymple Elliott is real, gritty and uncompromising but a version we could clearly recognise and believe in. The French Lesson is available from Amazon and other leading bookshops. Visit Hallie’s website by clicking here for more information.